The Field Inspection and Scientific Evaluation Committee (FISEC) set up under the department of biotechnology by the Prime Minister’s Office October last year has confirmed that herbicide tolerant genetically modified (HTBT) cotton, illegal in India, is being grown across the country. In 2017, as much as 15 per cent of area under cotton was planted with unapproved HTBT seeds, says the expert panel. According to the media, the report was submitted to the PMO in June. The FISEC panel tested 13,361 leaf and seed samples and found 15 per cent prevalence of unapproved HT cotton in major states like Andhra Pradesh, Telangana, Maharashtra and Gujarat, and about 5 per cent in Punjab. 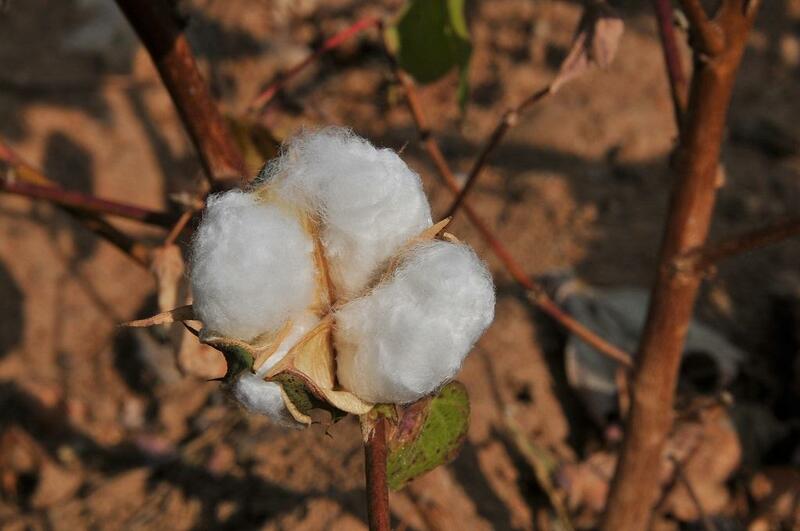 Last year, HT cotton was blamed for the inhalation deaths in Vidharbha region. The farmers inhaled pesticides while spraying the cotton plants that had grown unnaturally tall. The tall plants grew close to each other and trapped the pesticide which they inhaled. Despite this, farmers in Maharashtra’s Yavatmal have sown HTBT seeds, called BG-III in local parlance, this year too. Farmers Down To Earth spoke with confirmed that the seeds were available, although these were not being sold openly in the seed shops. Recently, Yavatmal’s district office carried out eight raids and confiscated HTBT seeds. This year, the agriculture office in Yavatmal tried to restrict the use of glyphosate in the area in a bid to curb the use of seeds but they could not continue with the restriction for long since they do not have the powers to ban chemicals. The district authorities have written to the state for further action but the authority to ban chemicals in the country remains only with the Centre. Although illegal HTBT seeds, called BG-III in local parlance, are costlier than the legal Bt cotton seeds, farmers opt them as it saves them labour costs incurred due to weeding. HT BT fields can be sprayed with herbicides to rid them of weeds. However, these herbicides – glyphosate is the most commonly used – can affect the ecology of the area being used. 75-year-old Keshav Singh Chander of Waghapur village in Yavatmal says that as all the weeds die, there is an acute shortage of fodder for the cattle. Media reports reveal that the FISEC report found 14 illegal hybrids which could be grouped into two major groups. This indicates that only a couple of companies are involved in the organised breeding of these illegal seeds. The committee ruled also out smuggling of seeds from other countries as the genotypes found is native to India. FISEC panel has recommended state governments to destroy all confiscated HT cotton seeds and restrict use of glyphosate in farming.